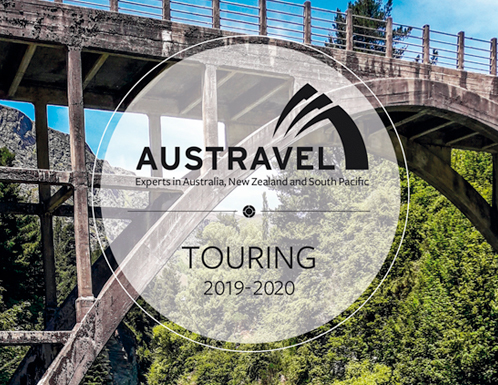 Browse all the fascinating places you can visit across Australia, New Zealand and the South Pacific in our Austravel Essential Guide and Touring Brochure. We can send brochures direct to your front door, totally free of charge, or you can download them right now below. Also be inspired by the latest editions of our in-house magazine Endeavour. With useful city guides, first-hand travel tales and much more, they’re a great way to start planning your perfect tailor-made trip to Australasia. Planning an exciting trip to Australia next year? 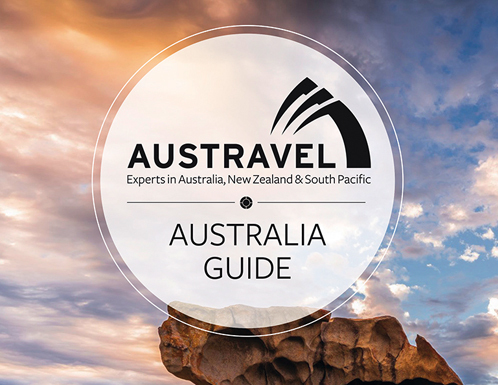 Let us inspire you with our new Australia Guide showcasing all the beautiful places you can visit across this diverse country. Featuring hand-picked hotels, carefully crafted itineraries, escorted tours and much more, we can help you create your dream Australia holiday. 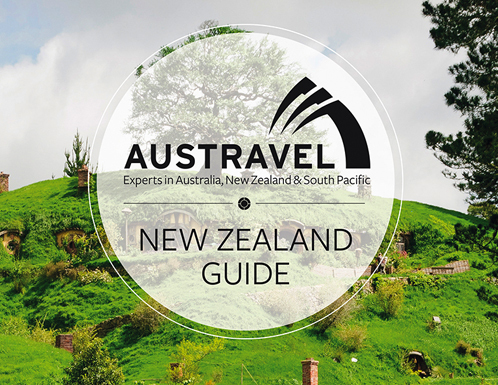 Explore New Zealand with the Australasia specialists. From magnificent fiords to sprawling beaches, Maori culture and incredible native wildlife, our latest New Zealand Guide is filled with everything you need to plan your perfect New Zealand adventure. Escorted tours, cruises, unforgettable sightseeing and premium service from our award-winning touring provider, APT. Discover their range of luxury travel options in our Austravel Touring Brochure. 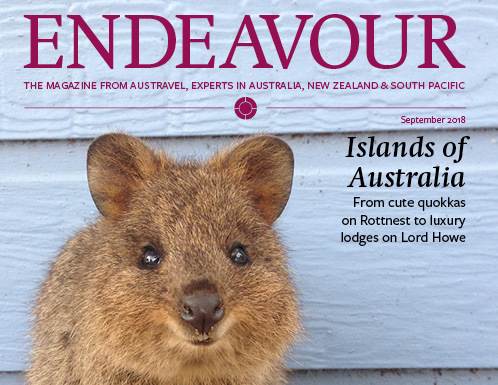 Our latest edition features the unique islands of Australia, dining Down Under and stopover inspiration. We’d love to keep you up to date with all things Austravel. By requesting your brochure(s) you’re agreeing to receive our marketing messages by email and post. We’ll also be in touch by phone to check you’ve received your brochure(s) and to answer any questions you may have. If you’d rather we didn’t contact you, please untick this box. Our sister companies within Travelopia (Hayes & Jarvis, Sovereign and Citalia) would like to contact you from time to time by post, email, SMS or phone with information about their services, including latest deals, news, events and competitions. If you’re happy to be contacted in this way, please tick this box.